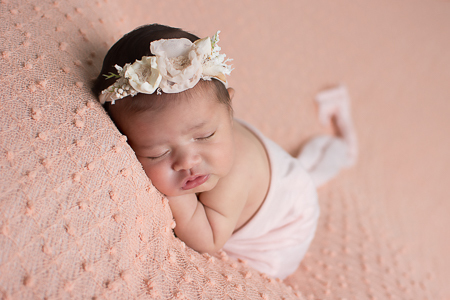 It was a dream to photograph this newborn baby girl. Penelope was so content which made it so nice to transition from family to sibling to various prop poses. I just adore this peachy color for her setup. 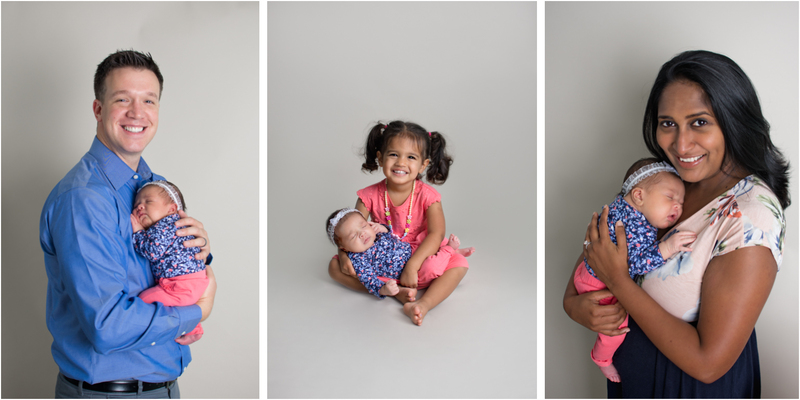 To start the session when there is a sibling, I tend to do family and sibling shots first. This is so to take advantage of the little ones attentiveness to my direction of posing. And so that once we are done, they can run off and play or occupied by the parents while I finish the session with their new baby brother or sister. 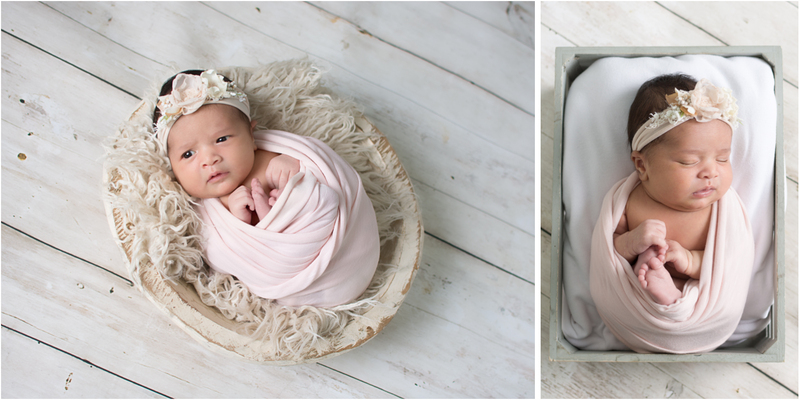 After family shots, I typically keep the baby wrapped however they were for those poses and transition them directly into a bowl, crate or on the beanbag. Once the baby is in a deep slumber I can quickly move from one pose to the next with simple changes ultimately giving the final gallery an assortment of looks. 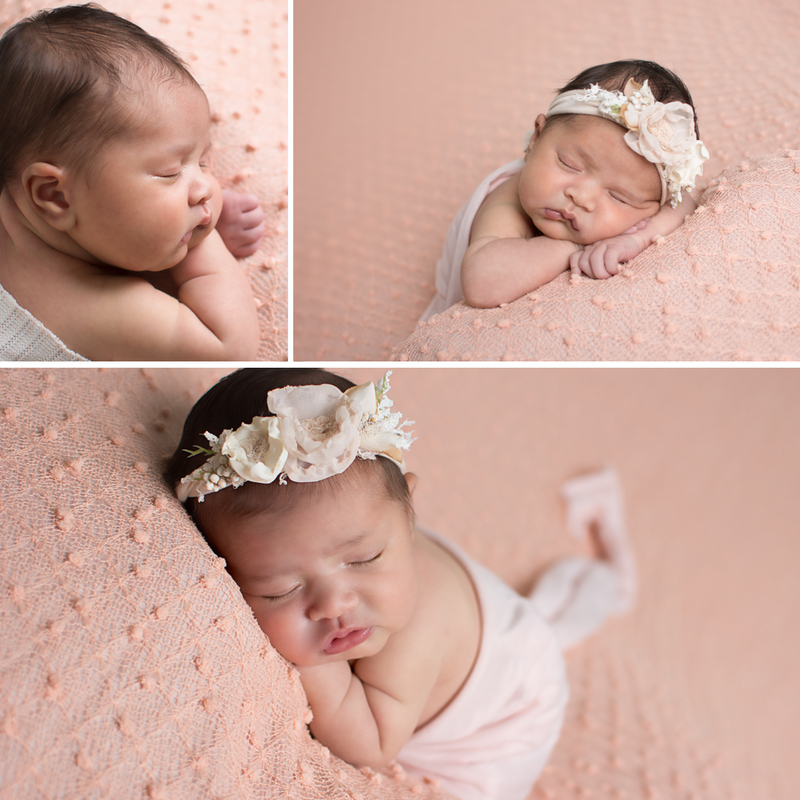 For Penelope's session, we worked with soft peachy corals and neutrals. These colors work so well for little girls. 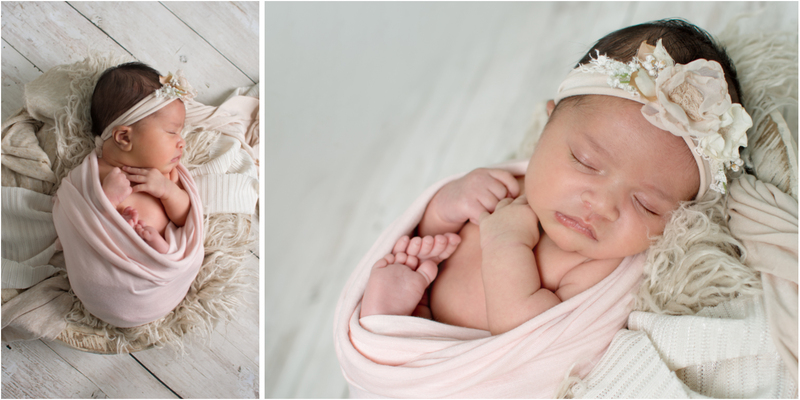 These newborn photos are stunning! I love that they had the whole family there for some shots as well. You did a fabulous job as their Williamsport pa photographer! Penelope is adorable! You did such an amazing job as her photographer. Do you have a studio in Williamsport pa? What a sweet little doll. Do you have a studio in Williamsport, PA? I would like to book you as our photographer. I will send you a quick message. What a beautiful baby and a beautiful family. The people of Central PA are lucky to have such an amazing photographer!!! These are perfection! 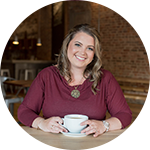 Williamsport is so lucky to have a newborn Photographer like you. I will be sending all my friends your way!